Eatons Neck is a hamlet and census-designated place located in Suffolk County, on the North Shore of Long Island, New York. It is within the Town of Huntington and approximately 45 miles from Manhattan. Eaton’s Neck is surrounded by several beaches but is heavily wooded with hills and valleys. As of the 2010 census, there were 1,406 people, 516 households, and 421 families residing in the CDP. The median income for a household in the CDP was $100,663, and the median income for a family was $104,111. Males had a median income of $94,349 and $67,083 for females. Eatons Neck ZIP Code is 11768. The latitude of Eatons Neck is 40.930N. The longitude is -73.401W. It is in the Eastern Standard time zone. Elevation is 16 feet. 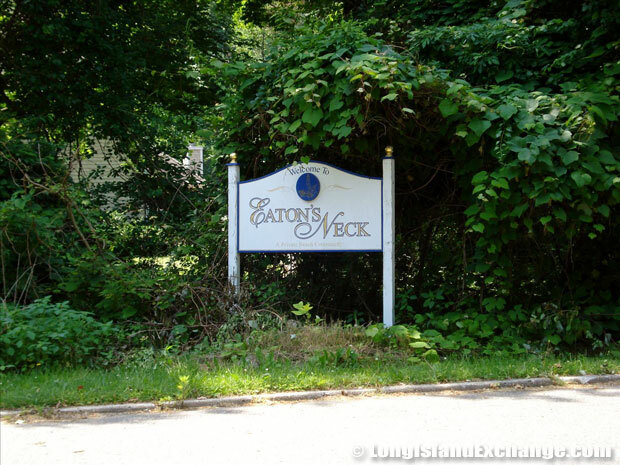 A sign welcomes visitors and residents to Eatons Neck, a hamlet and census-designated place in Suffolk County. 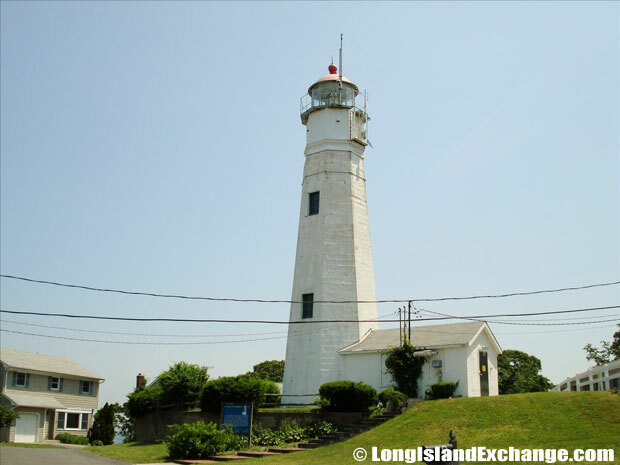 Eatons Neck Lighthouse, the second oldest lighthouse on Long Island and the sixth oldest in the United States. Prior to claims of title by the Dutch and English, Eatons Neck was originally occupied by the Matinnecock Indians. Then, a governor of New Haven named Theophilus Eaton bought the peninsula from the Matinnecock Indians. After several years had gone by, a certain owner of Eatons Neck named John Gardiner maintained an oil lamp on a pole in 1798 in order to guide passing ships when the new federal government paid him $500 for at least 10 acres from the area that it planned to use as the site of the Island’s second lighthouse, after Montauk. His son became the first keeper of the lighthouse. 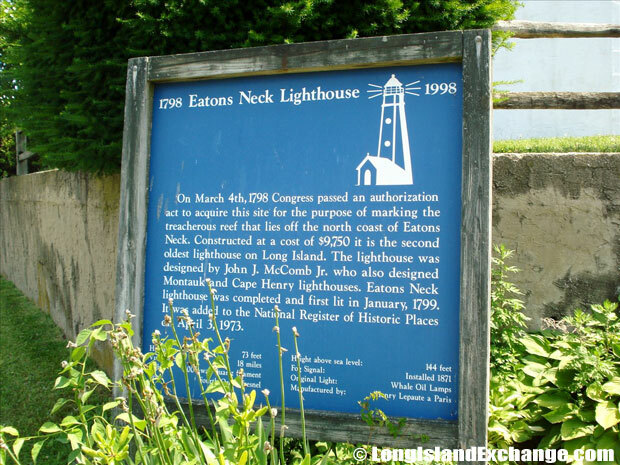 On March 4th, 1798 Congress passed an authorization act to acquire the site of the Eatons Neck Lighthouse for the purpose of making the treacherous reef that lies off the north coast of Eatons Neck. The former U.S. senator and owner of Eatons Neck, John Sloss Hobart, helped get a lighthouse bill passed and signed by President John Adams in the same year. The reef off Eatons Neck Point has been the most perfidious location for mariners on Long Island’s North Shore and it’s been the site of more than 200 ships. At the turn of the century, more modest development was established along the beach in what is now Asharoken. The property owners recognized an incorporated village to increase control over beaches and roads in 1925. 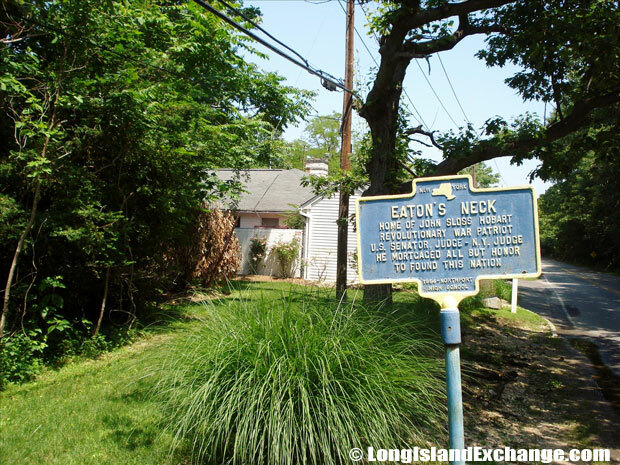 Historical marker for Eaton’s Neck, Home of John Sloss Hobart Revolutionary Judge N.Y. Judge he mortgages all but honor to found this nation. 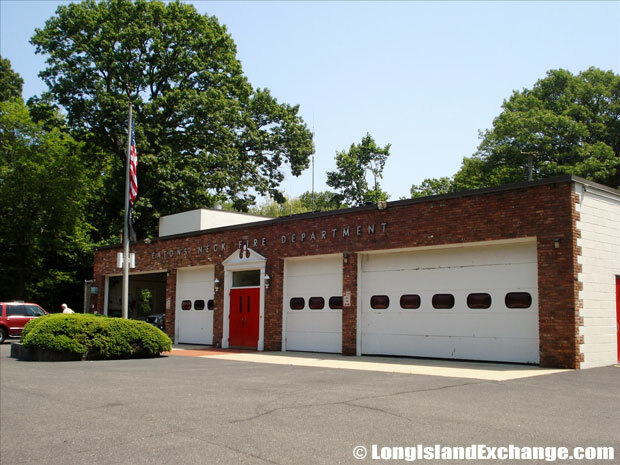 Well-known prominent residents in Eatons Neck include Henry Sturgis Morgan (founder of Morgan Stanley), Maj. Alexander deSeversky (founder of Seversky Aircraft), Fiorello LaGuardia (former mayor of New York), and Eugene O’Neill (playwright). The racial-makeup of the neighborhood comprises of 98.13% White, 0.22% African American, 1.01% Asian, 0.29% from other races, and 0.36% from two or more races. 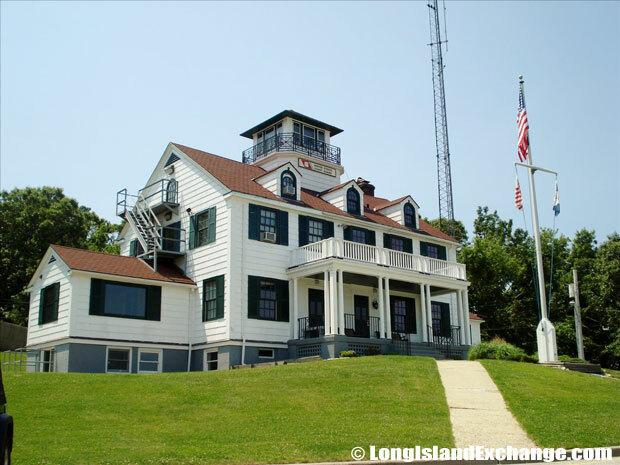 The Coast Guard Station at Eatons Neck. Eatons Neck is served by Northport-East Northport Union Free School District which has six elementary schools, two middle schools, and one high school. The district also serves the neighboring communities of Northport, Asharoken, and East Northport. High academic standard is strongly implemented in their schools. A basic education program is offered at all levels, and augmenting it is a wide range of elective programs to meet the interests, abilities, needs and career goals of district pupils. In recent time, Eatons Neck consists of more or less 1000 homes on about 1500 acres of land which can be divided into four general areas such as Eaton’s Neck Beach, Eaton’s Harbor, North Creek, and Asharoken. Only a few additional building plots are remaining in the area now.